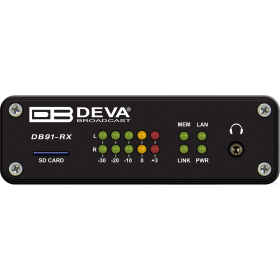 DEVA’s in-depth expertise in IP Audio technologies meets cutting-edge trends in DB91-TX, designed to guarantee you outstanding performance. 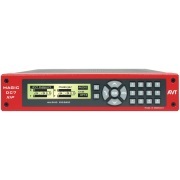 This second generation IP Audio encoder converts the audio signal into high quality compressed audio stream, and transmits the output signal directly over IP-based networks. To ensure audio transmission without quality loss, DB91-TX also supports uncompressed PCM audio stream. Small and compact, this high-tech device enables quick incorporation in the existing audio systems and their respective effortless integration to the Internet. The front panel’s audio level bar graphs and LED indicators allow for reading at a glance the current state of the device. 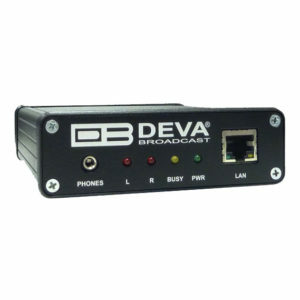 In line with DEVA’s very essential brand characteristics – easy set-up and monitoring, the DB91-TX could be managed through a simple and intuitive HTML5 interface and any kind of web browser, be it your PC, smart phone or tablet, remotely or locally. To unit ensures premium broadcasting experience as once the audio source is selected, the encoded in real time audio is immediately transmitted over IP-based networks. The enhanced DB91-TX can act simultaneously as an Icecast/Shoutcast compatible Server, Icecast source client or Real Time Protocol (RTP) sender. 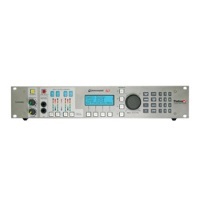 The audio stream can be spread over an IP-based network to one or more DB90-RX, DB91-RX or other compatible IP audio decoders. To address the evolving customer needs, the DB91-TX IP Audio Encoder can also send audio to a number of clients simultaneously, provided that a multicast address is being entered as a client address. Decades of experience to our credit, expanded tech expertise and understanding of customer’s needs have resulted in agiler, trusted and cost-efficient solutions that improve broadcasters’ performance. 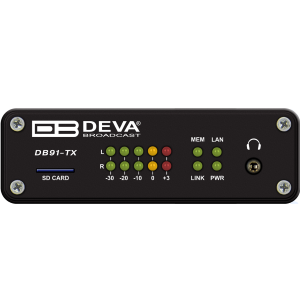 DB91-TX, with its compact form, wide array of enviable features and intuitive control interface is the valuable asset to any enterprise in need of preeminent broadcasting systems and services.